Had the chance to do more work on the new motor mount this last week. Here's what's been done. 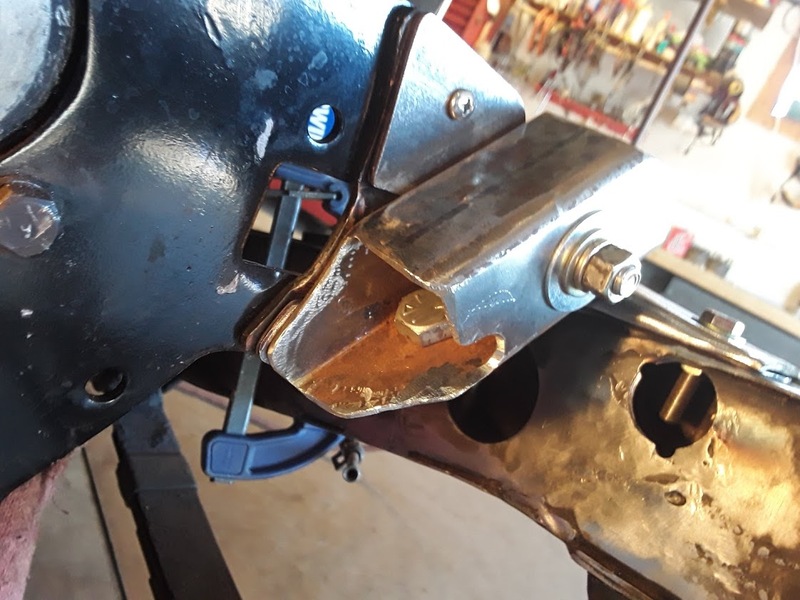 On the drivers side of the M38 motor mount plate, it has a piece of it that protrudes out, due to the later style fuel pump. 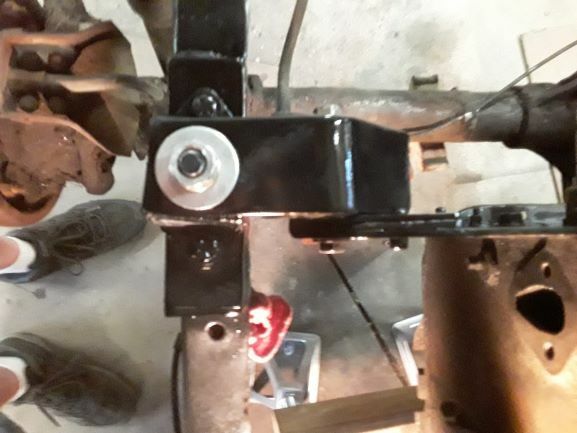 I made a plate that goes around the protrusion so that the new motor mount bracket will fit snug up against the plate. Pic shows the main brackets I needed to make up. Basicly I used 1 3/4" square tubing and 1/4" x 2" x 7" piece of flat bar. The square tubing has a sleeve that's pressed through the front and butts up against the opposite inner wall for support. Thus preventing dimpling if over tighten. The bracket is shaped to contuor the timing case cover and is notched so one can get a 3/4" wrench inside. You can see the sleeve and the motor mount bracket on top of the frame rail. Had fun getting the frame rail bracket to sit level in all directions. Rear side of Bracket. You can see the spacer plate, how the bracket contours the timing case cover, and the notch for the bolt. 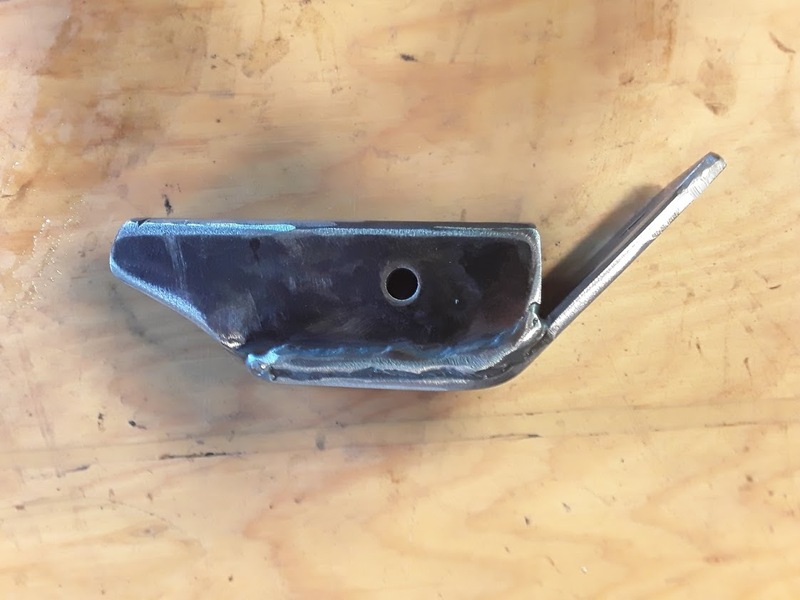 Back side of barcket with the other piece welded up. Brackets welded up and temporarly mounted in place. 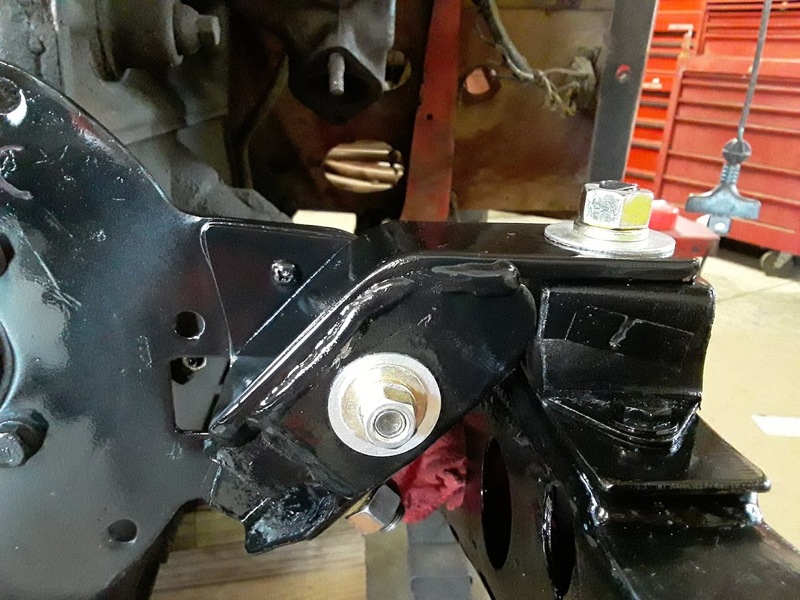 The frame rail bracket also has inner sleeves where the bolts go through the bracket and into frame. Side view. Back side of the new mount. 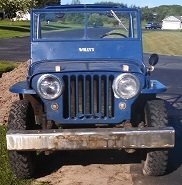 Front side of new mount. I need to finish welding the two brackets up. OOPS! Top right corner of the two brackets. 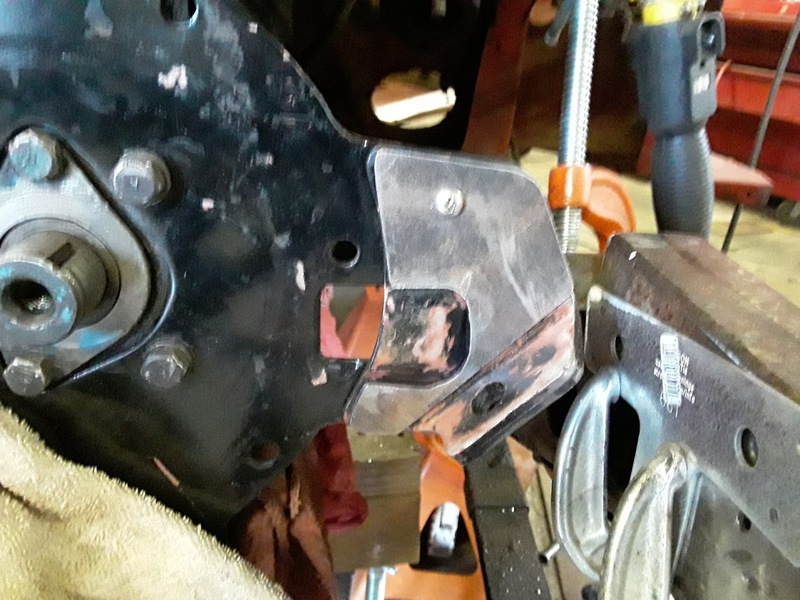 Finished up the drivers side motor mount today. 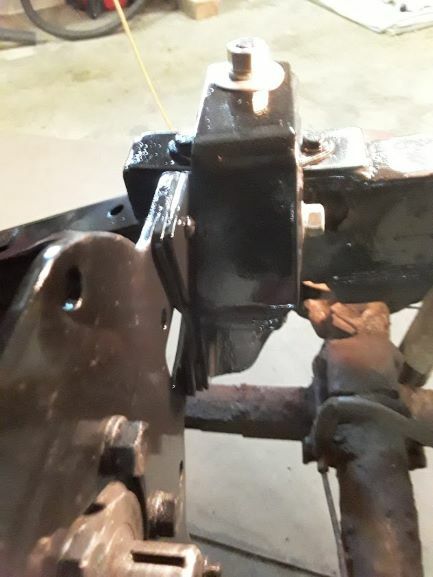 Before making this mod, I took trailer leveling jacks and a 4x4 and placed them accross the oil pan then raised the jacks up until the 4x4 was just snug. From there I took to many measurements to make sure everything stays within specs. After finishing up the mod, all the specs are dead on. 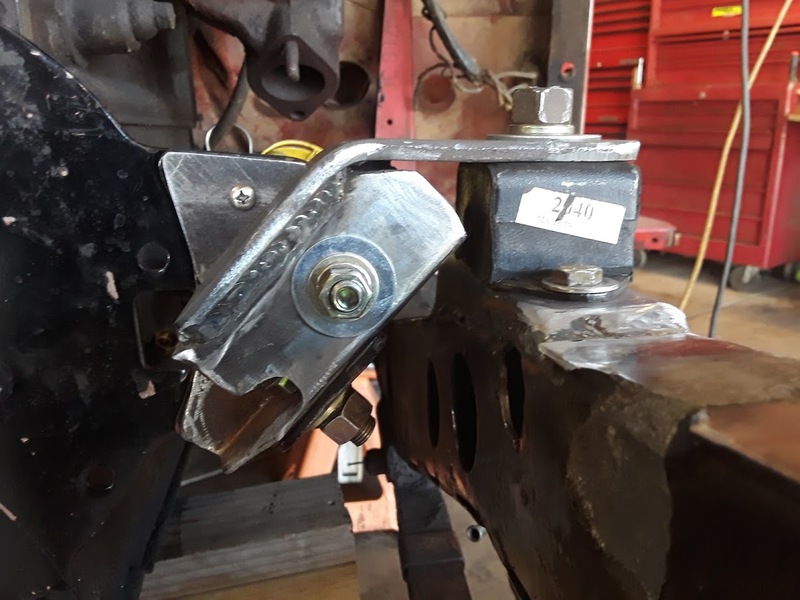 This motor mount mod will greatly help with the upcoming Saginaw steering conversion. 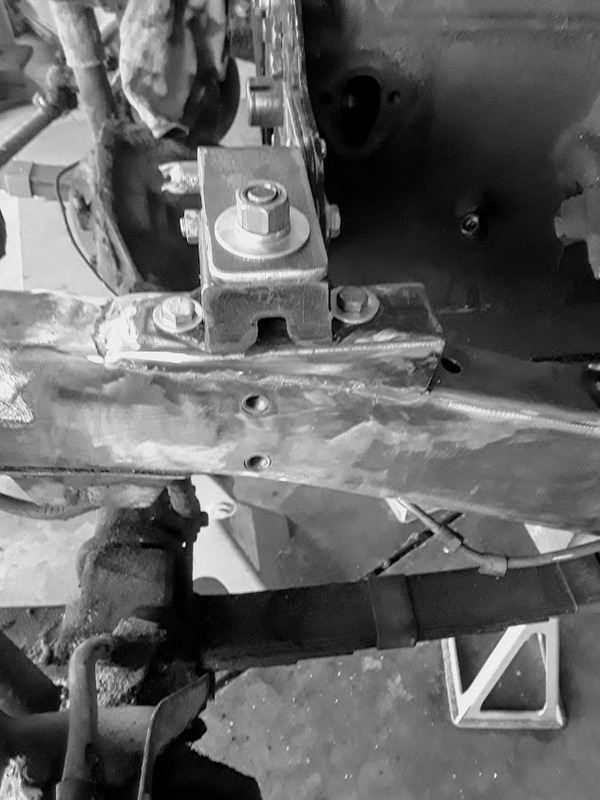 This week, I'm working on making up the steering box mounting plates. I am using a manaul and P/S box to play with. 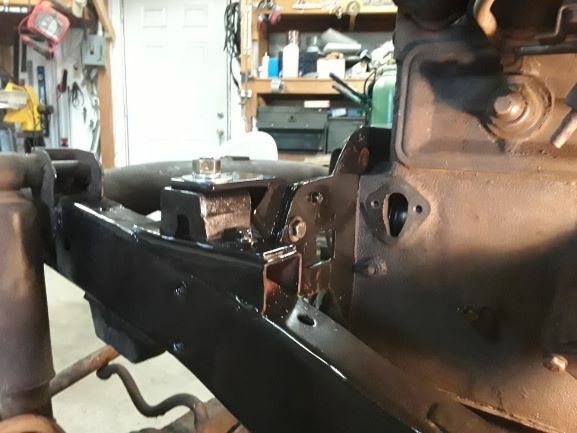 Luckily, I saved a jeepster commando P/S frame to box adapter to use for the Box bolt pattern. 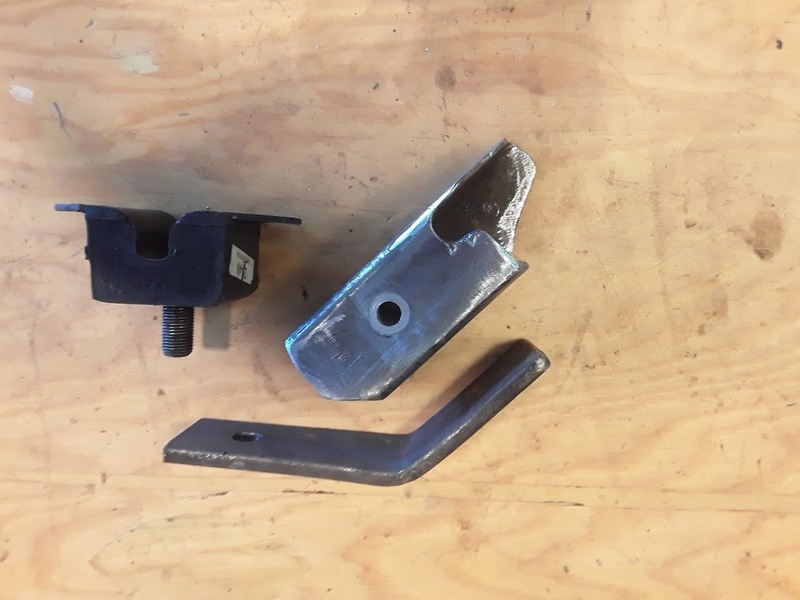 Many of you know that 3 out of the 4 bolt holes from a P/S box are the same as the three bolt manual or P/S box. So, I am going to make up a 4 bolt P/S box mounting plate and use a thre hole manual box on it. When mounting, I will use a P/S box and such which will give me the option of changing out manual steering to P/S. Won't need to redo the mount. Yes I like manual steering. 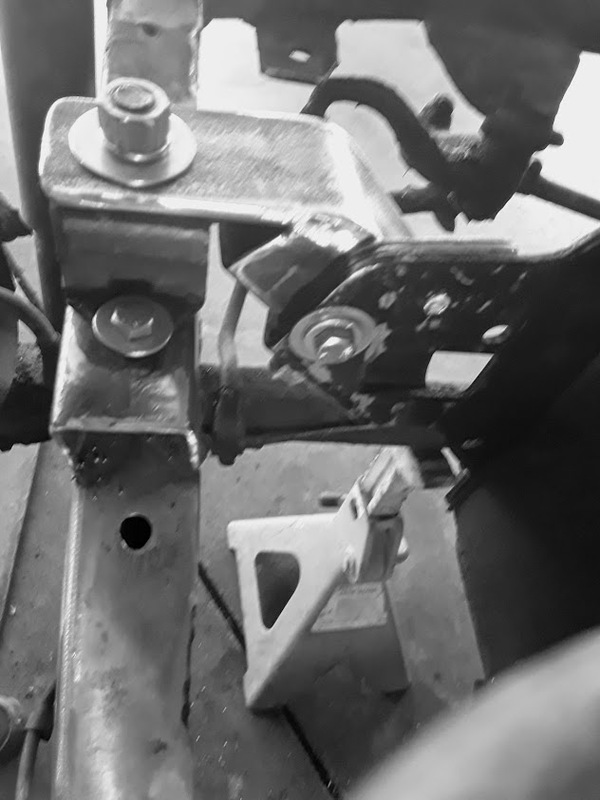 I have made up front inner side frame rails to help strengthen the frame. 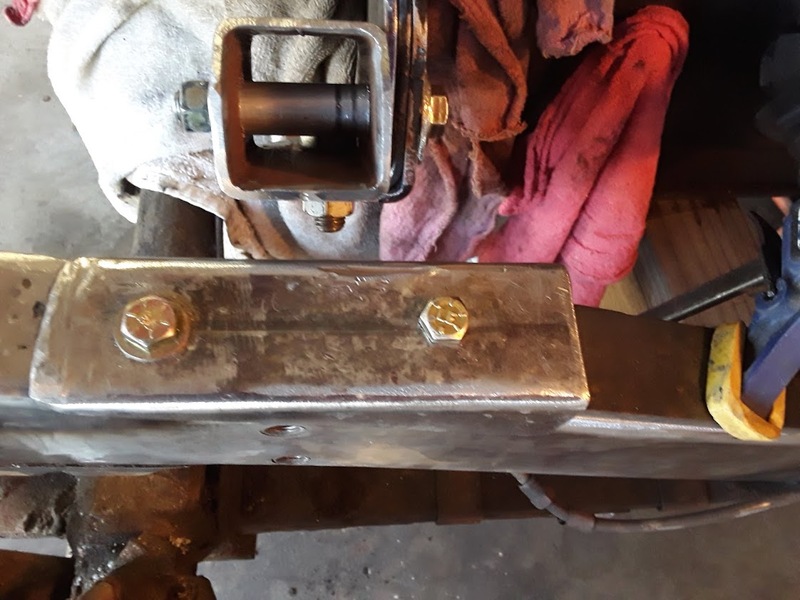 Note: I mentioned useing a Jeepster Commando steering box adapter for the bolt hole pattern. It works great for that task. HOWEVER, from my past experience with these adapters, They are junk!! Please don't rely on them. If they were safe, IMO, I would use one on my conversion. I have replaced dozens of them for customers.